On September 17th, 2013, a significant piece of Indigenous culture was shared among Indigenous Peoples and all Canadians. 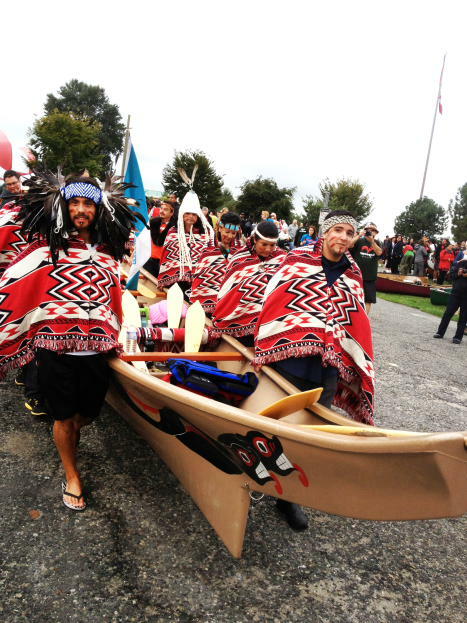 All Nations Canoe Gathering opened the Reconciliation week by inviting Indigenous Peoples and communities in Lower Mainland to participate in a traditional Indigenous ceremony. The cultural significance of the canoe movement is the resurgence of songs, dances, names, language and teachings. What was dormant for so long woke up with a bang and the people responded. 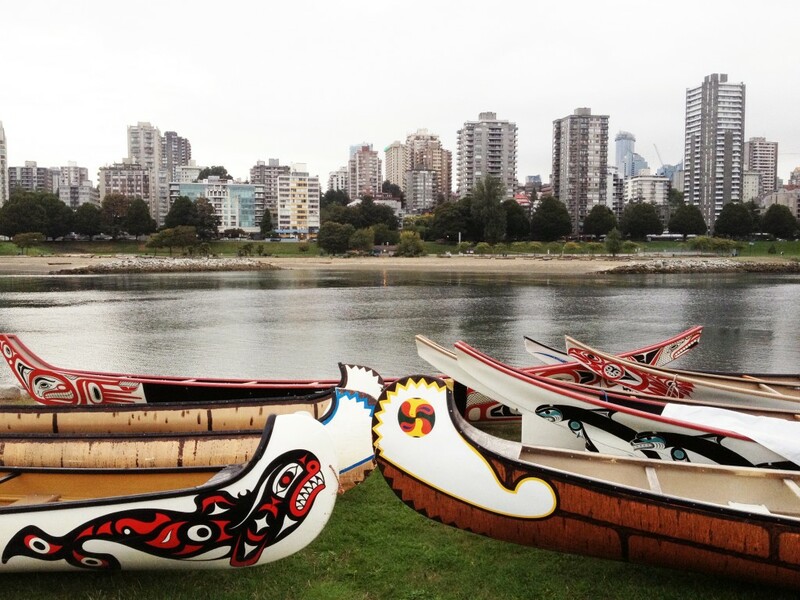 Since the resurgence of the canoes the participation has grown from under 20 canoes in 1989 to present day where there are up to 110 canoes that attend these cultural tribal journeys. 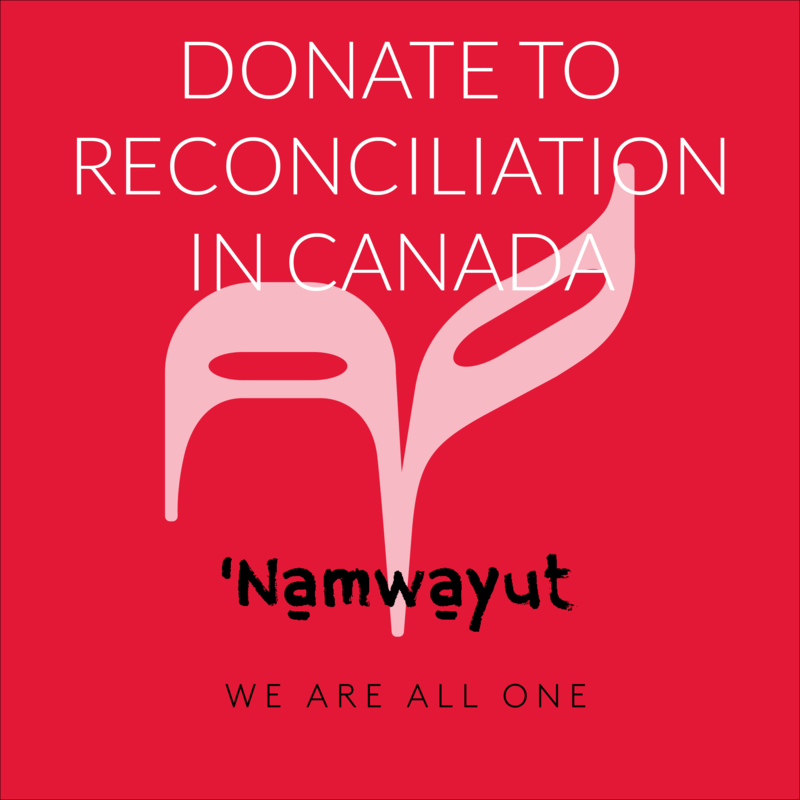 Reconciliation Canada recognizes and honors the cultural and spiritual aspects of the dugout canoes and the healing they bring to the people. 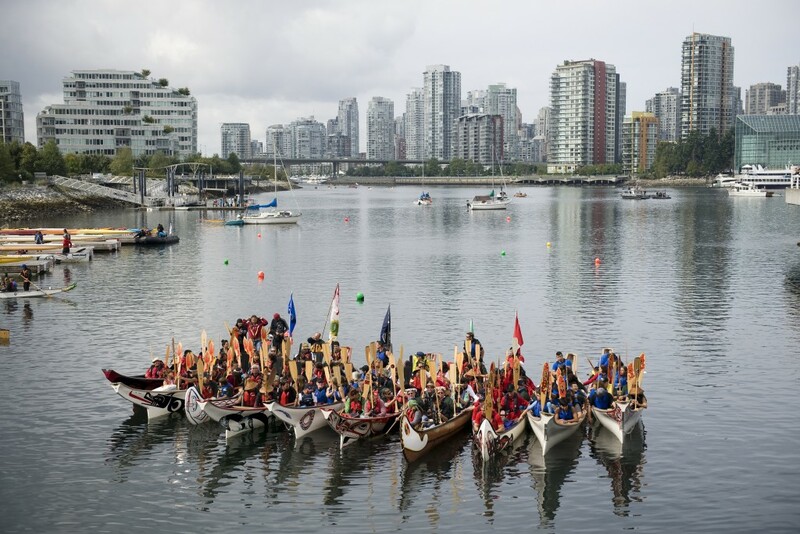 This canoe day was initiated for Indigenous Peoples to paddle their canoe into False Creek where a traditional protocol of welcome was delivered by local Indigenous hosts. Indian Residential School survivors participated in the water that day and paddled up for protocol for recognition and honor. This was a unique “All Nations” Canoe Gathering that invited Dragon boats and traditional kayaks to join in the day’s event.